Entries are now open for the 4th Biennial RSASA Portrait Prize Exhibition. 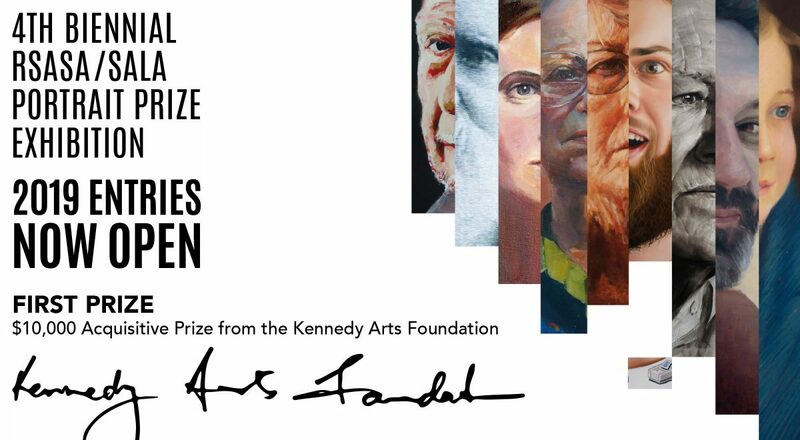 With over $20,000 in prizes, including the $10,000 acquisitive prize from The Kennedy Arts Foundation. This exhibition is open to all South Australian artists and exhibited within the Royal South Australian Society of Arts (RSASA) gallery on North Terrace, Adelaide. Helpmann Academy – $1,000 – Applications are invited from final year students and graduates (up to five years following the final year of study) of University of SA (Bachelor Contemporary Art) and Adelaide College of the Arts/ Flinders University/ (Bachelor Visual Arts). $1,000 – Open category – Geographic Environment : Sponsored by Helen Stacey Bunton – For a work showing the subject in their geographic environment – This award recognises that identity is related in some way to our geographic location – either in the past, such as birthplace or childhood location, place of employment or home, a holiday place or a present geographic location. Other prizes will be announced as soon as details become available. The 4th Biennial RSASA/SALA Portrait Prize will be held from 28 July – 25 August 2019 in the RSASA Gallery, Institute Building, 1st Floor, corner North Tce & Kintore Avenue, Adelaide SA 5000. 4.30pm Australian Central Standard Time.